I added the last little details to the steamer Rheinland. She will be prepared for casting today and I think I might manage doing the molds tomorrow then. I took pictures of her alongside the tanker from warlord for size comparison . So as this build nears completion I am open for suggestions what should be next. I am thinking about doing a generic cargo vessel size will be in-between the tanker from warlord and a liberty ship. So length would be around 24 cm. Any more suggestions? What is missing for cruel Seas? For a x mas present to myself I got the cruel seas starter box. I just finished painting the first miniatures for the game. The miniatures are made from plastic ( S-boats and Vospers) the bigger ships like the coastal tanker are made from resin and metal. Included in the starter box are the torpedo markers and everything else you need to play. The rules are quite nice and give a very fast paced game. Alas in the first edition there were many mistakes in the rulebook so that warlord published grata 14 days after release of the game. Despite these problems at the start the game is really good. I like it and will play it a lot. There are some issues with torpedo shooting but nothing wich can’t be tweaked if not liked as written. I will write a run through the rules later. Here are the miniatures. I got the starter and the tanker model. As said above the tanker is resin and metal the other boats are plastic as are the torpedo markers. I built it strait out of the box. If I built it again I would replace the metal masts with brass wire ones for sturdiness. It is a nice little coastal tanker so don’t expect a ocean going ship it is a smallish coastal steamer. But that is the kind of ship you would expect to find as prey by the S boats or vospers in the channel. Next up the two Vospers. There are two different Vosper versions in the basic game. A later war version with 4 torpedo tubes and an early version with 2 torpedo tubes. The masts are quite thick , but I think these is to keep them from braking when gaming with them. at least these are wargaming models so have to be more sturdy then scale models. I think that I will replace the plastic masts with brass wire ones when I build my other boats. If you look closely at the bridge of the two tube Vosper boat you can see some crew in the bridge area. They are from the tanker model. Next up is the S 38 Schnellboot. Again the boat is build strait out of the box with the addition of brass fotoetched railings and some Tamya crew figures. The railing is 1/350 scale ( the boats are 1/300 scale) but i think it fits quite nicely. The crew figures instead are only 2 dimensional ones I wouldn’t use them again. I will wait for the warlord metal figures and replace them. Here is the S100 Schnellboot with armored bridge. Again with fotoetched railing and to be exchanged Tamya crew figures. The Splash markers are resin casts done by myself. I didn’t like the ones in the starter box. By the way the gaming mat is by Deepcut studio. Here are some shots of a test game of the scenario which will be played at this years Kiepencon in Münster Germany . Marker done by me in resin. Altogether a wonderful game and nice miniatures will definitely do more here. The only thing missing is more coastal cargo vessels . I will probably scratch and cast some in the near future to have convoys with more ships. First up will be a former northsea island steamer . The Rheinland build in the 1920. So stay tuned! Just to let you know why I haven’t posted a lot in the last weeks, I rather had a lot to do since the beginning of January as I will do participation games with the cruel seas set at Kiepencon on the 27th of January . You can read more about the Kiepencon here. The game is called sink the tanker and is one of the scenarios from the rulebook. As an incentive Warlord Games will sponsor a boat model for every participant in the games ( as long as stocks last)! As I don’t have the time to paint miniatures at the moment . Real work comes in-between sometimes! I post some older miniatures. 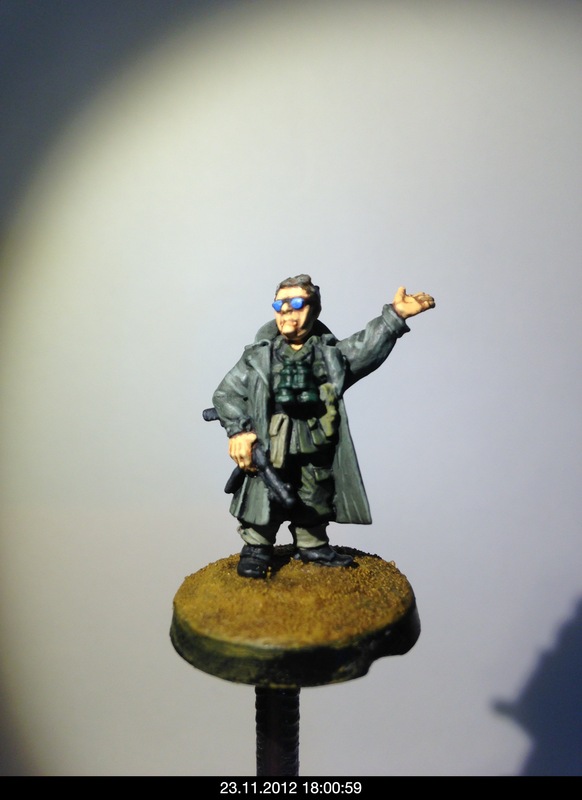 Here is a very special miniature for my Bolt Action German army. It is a Warlord figure with a special head , sculpted by Paul Hicks for me. It resembles my own head, so I can actually lead my little soldiers from up front 🙂 !